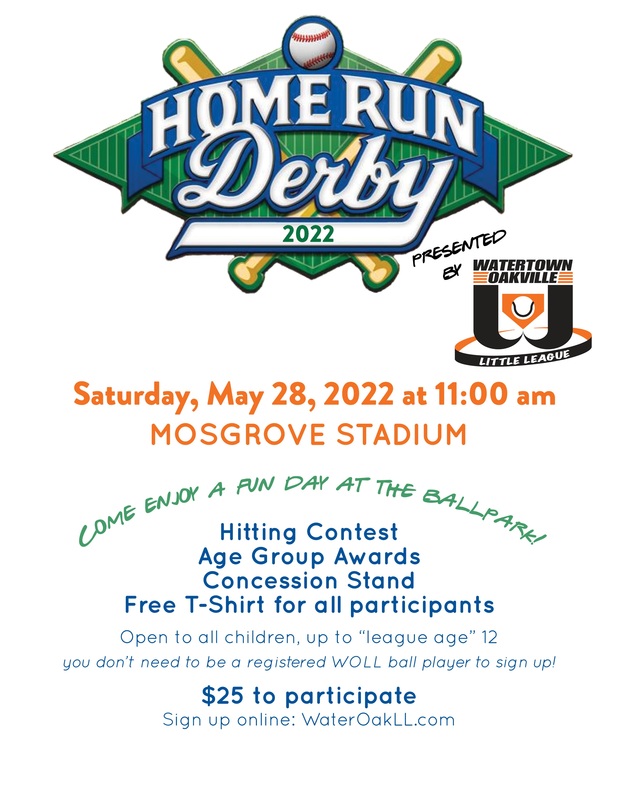 Home Run Derby will begin at 11 am. Participants will be divided into age groups based on registration. Fence distances will vary by age group. Prizes awarded to each age group.